The focus is on allowing counter-insurgency campaigns which are less focused on combat engagements. New character creation rules make characters "last longer" in combat. An electronics section covers such items as night sights and radios. 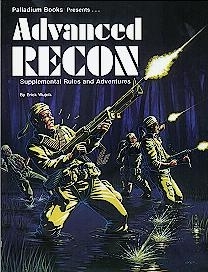 A primer on combat tactics is included. Background is provided for Southeast Asia circa 1965, with guidelines and random encounter tables for a fictional Laotian campaign. This title was added to our catalog on May 02, 2009.